INTRAVENOUS MAGAZINE: Your daily dose of darkness...: SEER signs with Artoffact Records. Formed in the Autumn of 2014, doom metal outfit Seer have curated an eclectic sound across three EPs and a full length record, punctuating traditional doom and glacial sludge with both clean and harsh vocals, folk passages and ambient meditations. The five-piece, Vancouver-based quintet comprises vocalist Bronson Lee Norton, guitarists Peter Sacco and Kyle Tavares, bassist Josh Campbell, and drummer Madison Norton. Seer cite bands like Black Sabbath, Candlemass, Blue Oyster Cult, and King Crimson as the pillars of their sound. As with any strong music scene, the one Seer finds itself in draws its strength from the musicians who inhabit multiple projects, often diverse in genre and atmosphere. Seer members also play in Wormwitch, Empress, and many others, making for a brimming cauldron of creativity. The current Seer sound incorporates black metal and NWOBHM influences, venturing into territory occupied by groups like Judas Priest, Queensryche, Taake, Bathory, The Ruins of Beverast, and Dissection. 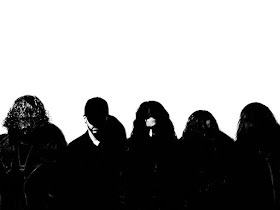 In 2018, the band recorded their latest, a record dubbed simply Vol. 6, and signed with Toronto-based Artoffact Records (Dead Quiet, Xandria, The Sorrow, Front Line Assembly). The album was produced by Jordan Koop (Wolf Parade, Lié, The Courtneys), with stunning cover art by Caué Piloto (Un, Jupiterian), and mastered by Joel Grind (Toxic Holocaust).